Englishwoman Dorothy Eady, known to the world as Omm Sety, died in 1981. She had a long career working for the Egyptian Antiquities’ Department, working with some of the great Egyptologists of the time. She is, however, best known because of her claims to have lived a previous life and to be in communication with King Sety I. This is a fascinating read, telling of contradictions of scholarly work, of informed speculation and of her deep and personal connection to the past. This new biography is based on Omm Sety’s diaries and recorded conversations with one of the authors. One does not necessarily have to believe that Omm Sety was a reincarnated ancient Egyptian. As someone who knew her once told me, it is enough to believe that she believed it. Omm Sety’s observations and comments are revealing. For example, she stated that she knew the place where Nefertiti was buried, and that it was in the Valley of the Kings near the Tomb of Tutankhamun “in a place where no one would think of looking for it”. Only recently has a new tomb (near Tutankhamun’s) been found in the Valley, and now what is potentially a second new tomb has been identified nearby; the speculation is that the latter could be Amarna Period in date. Could it be Nefertiti’s? How did Omm Sety know that? Read and enjoy this book. Published by St Lynns Press, 2007. ISBN 978 0 9767631 3 0. The funerary equipment and mummies of ‘the two brothers’ have been at the very heart of the collection of the Manchester Museum since 1907. Discovered by Petrie at Rifeh, the tomb contents were, as Petrie hoped, kept together and sent to Manchester in return for a contribution of £570.19s.0d towards Petrie’s excavations in Memphis. The bodies were among the first to be scientifically examined, in 1910, and in more recent years they have been re-examined by Professor David as part of a major multi-disciplinary study of the Manchester Museum’s collection of mummies. 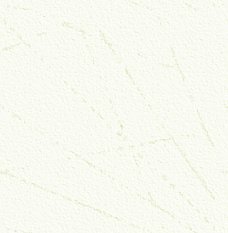 The results are fascinating, and because all the material is still in one place, as new techniques become available new studies can take place. In this clearly-written book, the author looks at the world of the brothers, and at the tombs, temples, towns and mummification practices in the Middle Kingdom. The discovery of the tomb is covered, with some archive photos. and diagrams, along with a modern examination of the funerary equipment and new translations of all the inscriptions on the objects. The various examinations of the bodies of the two brothers are described in some detail and the discoveries, using non invasive and pioneering techniques are interesting and perhaps surprising. This is only the story so far ... the collection remains in Manchester, and as the author says at the end of this excellent book, “The Two Brothers may still have much to tell us”. ISBN 978 0 9547622 3 0. 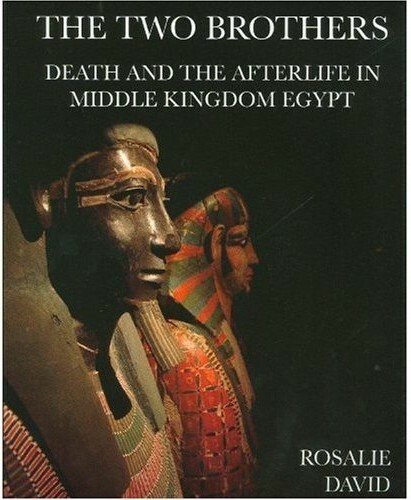 This book is written by an Egyptologist and archaeologist who has worked in Egypt and who is a teacher of Egyptian Archaeology at Boston University in the USA. Realising that there was no one text that covered everything she wanted to teach, she wrote her own, and the result is a detailed and impressive volume The first chapters look at the archaeology of ancient Egypt, archaeological theory and methods, the study of the language, and important aspects such as dating techniques and technology. 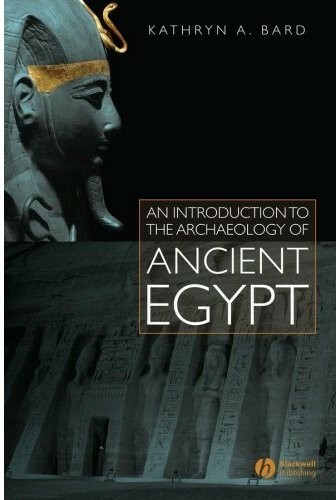 Other chapters cover subjects such as prehistoric and pharaonic chronology, geography, resources, and environment; there is a chronological look at some specific archaeological sites and the evidence recovered from them. Sections are also included on subjects of perennial interest, such as building the pyramids at Giza, mummification, and deciphering hieroglyphs; and new excavations in Egypt are discussed, connecting recent work with the results of earlier projects spanning the late nineteenth and twentieth centuries. Very readable and well illustrated, this book contains much information that will not be found elsewhere. With a large bibliography and a final chapter summarising the earlier chapters and raising subjects for discussion, this book will be ideal for enthusiasts, especially for students and more so for anyone who teaches the subject at any level. As such is it likely to be well-used and is highly recommended. Published by Blackwell Publishing, 2007. ISBN 978 1 4051 1148 5. This little book provides all the background to the remarkable discovery of the tomb of the king and his life and times and is packed with information and images. It is published specifically to coincide with the London Exhibition and many of the objects on show in the exhibition are mentioned. It explains well the opulence and richness of the royal court at the end of the Eighteenth Dynasty, the emergence of the powerful cult of the god Amun and the great ‘heresy’ of Akhenaten that preceded the reign of Tutankhamun. The story of the Valley of the Kings is told, shedding light on why the royal tombs were built, who built them, and how they were decorated. Sections also look at the tomb goods that were buried in the tombs and at the process of mummification. Archive images are used to tell how Carter and Carnarvon discovered and excavated the tomb and the story is brought right up to date with a report on the CT-scan of Tutankhamun’s mummy in 2005. For anyone with a limited budget, or perhaps new to the subject, this book is ideal and informative. Published by Rough Guides Ltd., 2007. ISBN 978 1 84353 865 3. Published by White Star Books. 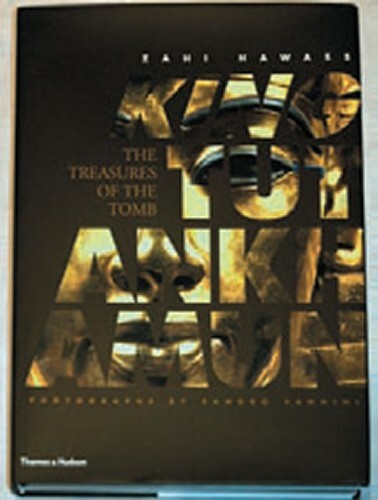 This book was first published in 2000 and is a must for anyone interested in the Tomb of Tutankhamun, with an excellent text and stunning photographs. The book has now been revised and is published in two new versions. The first, ISBN 978 88 544 0354 3, is in paperback and is a smaller-sized version of the large - format original, but at a very reasonable price of £9.99. 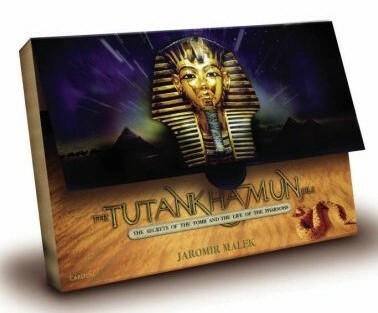 The second version is the ultimate for any Tutankhamun or book enthusiast, for it is a special boxed hardback version, with blue fabric covering. It is a splendidly-produced volume, and with its new binding it looks and feels wonderful, almost too good to actually use! ISBN 978 88 544 0355 0. Price £75. by Zahi Hawass. Photos by Sandro Vannini. This is another large-format book with some remarkable and stunning photos. of objects from the tomb. It is more, however, than just a catalogue of objects from the tomb, for Zahi Hawass looks at the story of the discovery of the tomb and at the ten years of painstaking work needed to conserve and remove all the objects. As an archaeologist, the author is well able to appreciate the enormity of the task and the skill taken by Carter and his team, with the limited resources and technical knowledge of the time. The photographs speak volumes and enable readers to see the objects in all their glory and in perhaps more detail than can actually be seen with the naked eye. What I especially like about this book is that many of the objects have not been illustrated before: for example, all four canopic coffinettes are shown in detail here, and there are all-round views, too. It is good to be able to see the backs and sides of many of the objects and also, in the case of the coffinettes, the interiors too. To see the backs of many of the pieces of jewellery in particular is fascinating, for while the fronts are inlaid, the backs, unseen when the objects are on display, are often engraved in great detail. Many of the colour plates fold out to double, treble, or even quadruple page spreads, which, whilst they do not make the book easy to handle, provide some remarkable images. It is unusual, for example, to see full front views of all the coffins, views that cannot actually be seen in the museum and tomb (where the outer coffin still lies) and which necessitated the taking of special photographs. Not since the blackand- white images taken by Harry Burton at the time of the discovery have such views been published, and these are in glorious colour. With such excellent photos. and with a full description of each object illustrated, this is definitely not a book to miss. Published by Thames and Hudson, 2007. ISBN 978 0 500 051511. 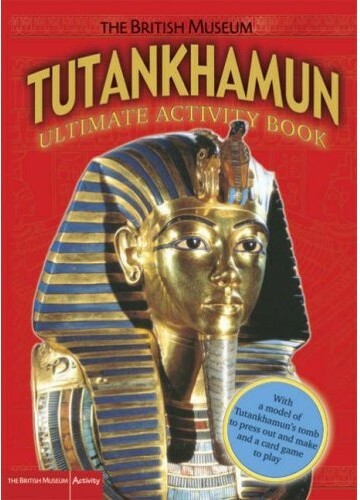 Aimed at younger readers, this book tells the story of the discovery of the Tomb of Tutankhamun. It contains all the expected general information about the tomb and its contents, but as the “activity” it includes press-out pages to make a model of the tomb; there are also pages to cut out and colour to make your own Egyptian jewellery. I am sure this will provide hours of fun for children, though I can’t but help wonder if a more conventional book for younger readers might not have been better, for once all the cut-outs have been removed and assembled, one is left with just the skeleton of a book, which might never be looked at again. The paper models will no doubt gather dust and then, ultimately, be discarded. If this book inspires the reader to find out more about the subject, then that will be a good thing, though a list of ‘further reading’ and ‘things to do’ might have been useful. Published by the British Museum Press, 2007. ISBN 978 0 7141 3038 5. This is a fascinating file of documents and information. A thirty-four page illustrated booklet gives an excellent and accurate introduction to the discovery of the tomb and its contents. This is illustrated with many photographs taken at the time of the discovery. The file also contains some superb copies of original documents, which include extracts from Carter’s diary, some of his record cards with his detailed drawings and descriptions of objects, letters, photos. and press reports. There is also a full-colour poster with maps and photos. 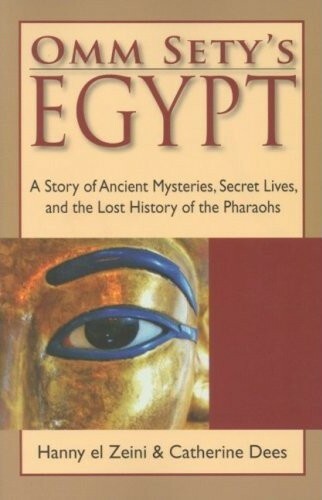 and stand-alone information on life in ancient Egypt, the Valley of the Kings and on modern exploration of Egypt. There is a wealth of information here, much of it not seen in publications before, and this file will be ideal not just for the younger reader but for enthusiasts too, and possibly even teachers, where the additional ‘visual aids’ could be invaluable. In addition to being informative and educational, it is fun too. ISBN 978 1 84442 150 3. 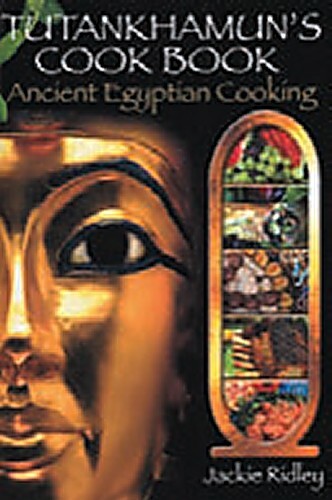 This is a small, glossy little booklet with some truly mouth-watering photos of food and details of how to cook your own Egyptian meal, such as ‘Amarna Pork’ or ‘Nile Fowl with Pomegranate’. The book provides an introduction to food in ancient Egypt; the recipes included are based on historical and archaeological evidence and use ingredients that were available to the ancient Egyptians. 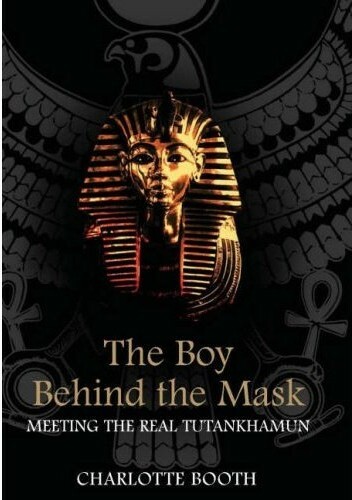 The publicity for the book explains that it is timed to coincide with the London exhibition and the author is described as “Conservation Director of the Tutankhamun Exhibition”. This is a little misleading, as the latter exhibition, is, I think, the one in Dorchester, which is of replica objects, not the major exhibition in London. I recognised some of the replica treasures of Tutankhamun used to illustrate the book, and it is perhaps a shame that photographs of original objects were not included. Perhaps readers who buy this book will actually use some of the recipes, in which case, please let AE know the results. Published by World Heritage Books, 2007. ISBN 978 1 906489 00 7. Paperback, price £3.99. This is the story of the two Englishmen who discovered the Tomb of Tutankhamun. 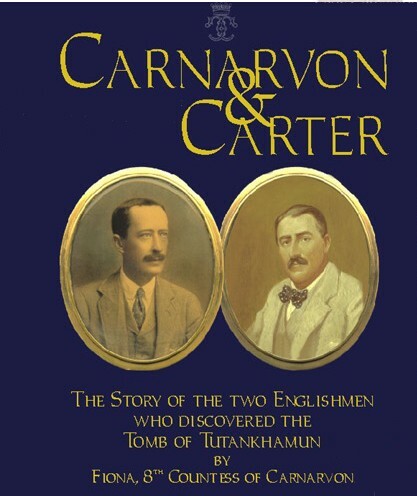 This most famous of discoveries is well known, but what perhaps is less well known is the long period before the discovery of the tomb, when Carnarvon and Carter worked together at various sites in Egypt. illustrated with photographs taken by the Fifth Earl, who was a keen photographer. Many of these photographs will not have been seen before. The story begins with the early years of the Fifth Earl, revealing his passion for horse racing and for new technology (he was the second person in England to own a motor car). Carnarvon’s life and early Egyptological career is often ignored, or was even unknown until now, and this delightful book shows that he was much more than just a rich patron, but very much hands-on and passionate about archaeology and ancient Egypt. The author describes the excavations in Egypt and many of the finds are shown, along with plans and diagrams as well as archive documents. The story of years of excavation with little to show for it, the ultimate discovery of the Tomb of Tutankhamun and the tragedy that Carnarvon did not see all the contents of the tomb is the stuff of legend and this new book really does shed some new light on the life and times of two men whose names are forever linked. Published by Highclere Enterprises, 2007. 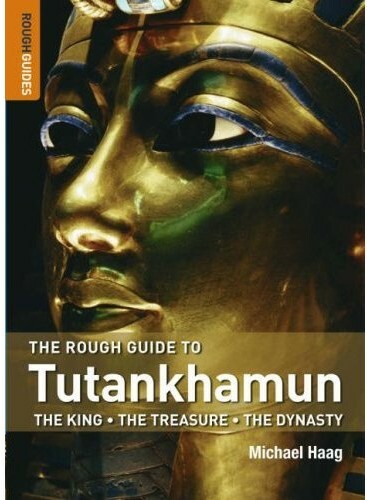 We are all familiar with the treasures from the Tomb of Tutankhamun and many books concentrate on these; in this volume the author looks at the life and times of Tutankhamun. This is not always an easy task, as there are many gaps in the records, which have, over the years, been filled with conjecture. Any author has to make certain assumptions. In this volume many theories are mentioned and an equally large number dismissed. However, few agree on some aspects of this period; here, for example, the author argues that the body found in Tomb 55 in the Valley of the Kings is that of Smenkhkara, whilst others still argue (perhaps more convincingly) that it is the body of Akhenaten. The story told here runs from well before the reign of Tutankhamun to after his death. 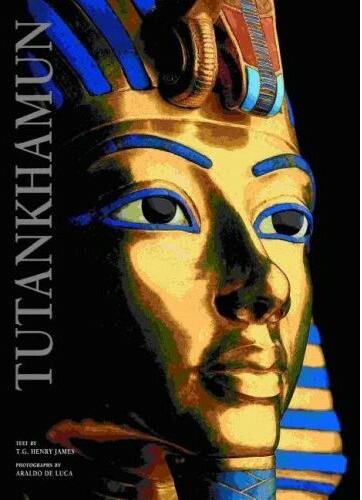 To understand the reign of Tutankhamun it is essential to understand the reigns and politics of his immediate predecessors. It includes information showing that perhaps Tutankhamun was involved in some military activity towards the end of his reign, though the exact cause of death is unknown and speculation still rules. The end of the Eighteenth Dynasty is, and will no doubt remain, of huge interest and this volume is a useful contribution to our understanding of the period. The book is not as well-illustrated as one might like and in fact some of the black and white images are of poor quality and out of focus, which is unfortunate. Published by Oneworld Publications, 2007. ISBN 978 1 85168 544 8. This is the début album from a collective of semi-nomadic musicians, poets and storytellers from the Egyptian Sinai Desert. The band plays a variety of traditional instruments, augmented by junk percussion instruments, such as jerry cans, scavenged from the modern battlefields in the area. I suppose, when reviewing music, I should wax lyrical about the melodies, and the poetry of the words. However, I always find it difficult to read the words printed on a CD booklet and as they are in English and the songs on this album are sung in Arabic it is doubly difficult. But, if you like Egyptian music, then this album is for you. The music is melodic and lively, with typical Egyptian infectious and foot-tapping rhythms.